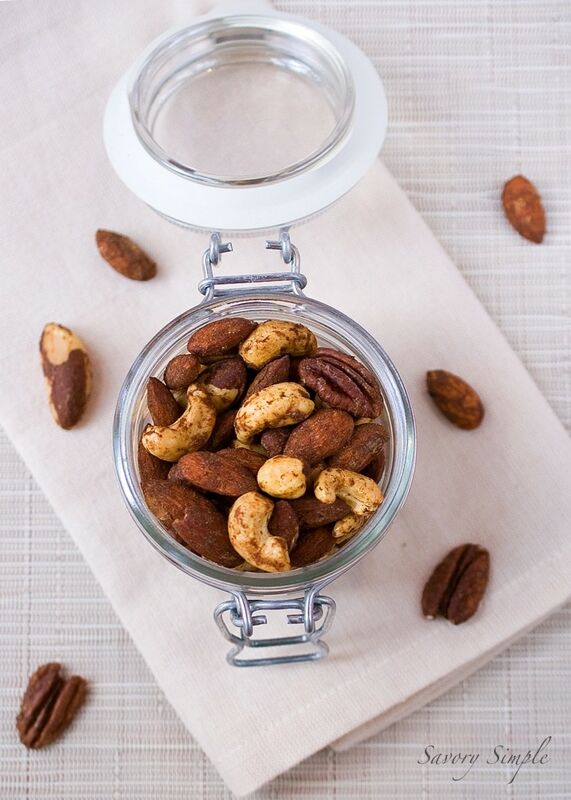 I love making spiced nuts for gifts…and these have such a unique twist with the maple syrup and pumpkin pie spice! They sound amazing!!! I’ve never made cocktail nuts but I am SO excited for anything pumpkin flavored. Cocktail nuts are so retro, I love it! I feel like I should be in a piano lounge with a drink! But, do I smell Fall in the air? Pumpkin spice is out in full force! My hubby would love this recipe! Thanks for the idea! YUM! What a great snack for entertaining! this is going to have to be one of my go too recipes! YES! 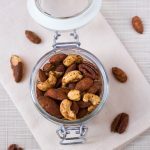 I love roasting mixed nuts and adding flavors both sweet and savory and I have never tried a pumpkin spice version. This sounds so warm, inviting and gets me all excited about fall recipes! Great thinking! Hi! Ohhhh those nuts look great. The leftovers would be great on a coffee cake too. My brother got me hooked on the Penzy spices. I’ll have to try their pumpkin spice blend. I love the simplicity of this recipe! These will definitely be on the table for my halloween party next month! Love love love these! I always need something to snack on for work and these are absolutely perfect! They would be wonderful with a pinch of cayenne! I love these spiced nuts always..!!!!!!!!!!!!!!!! !